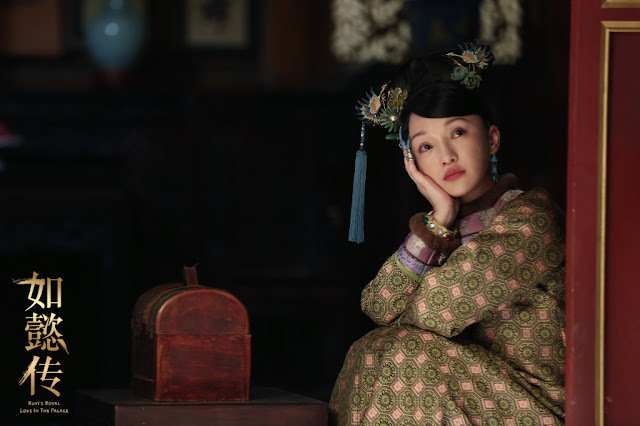 Ruyi's Royal Love in the Palace 如懿传 may be the top drama online nowadays, but it got off to a shaky start at first as fans criticized many things about it. Director Wang Jun admitted in an interview that he regretted taking on this project despite the drama's popularity and success. He also issued an apology to the leads Zhou Xun and Wallace Huo. I guess this was because netizens have noticed that the actors seemed tired and not at their best when the drama premiered. 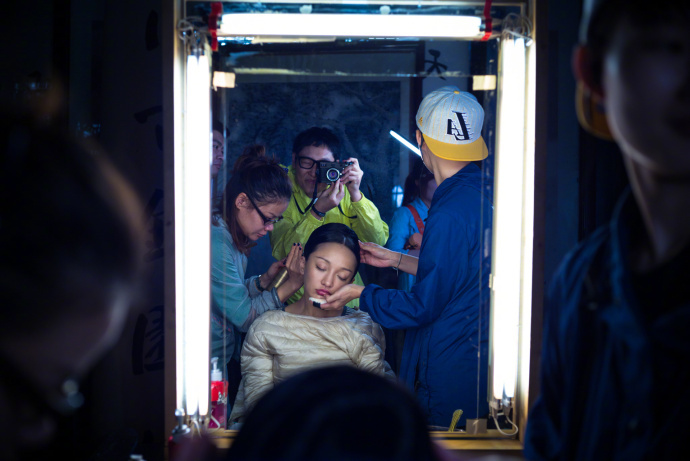 Zhou Xun had visible eye bags and there were comments that she is too old to play the doe-eyed heroine. Wang Jun reveals that, in the process of filming, he was also tired and had wanted to give up several times and the production was taxing on the actors as well. Wang Jun took care to ensure that drama conveyed the proper emotion which led to the snail's pace of filming. The final production yielded 120 episode total over the course of nine months and the actors tolled 17-18 hours a day just to complete it. Wang Jun shared that he had a hard time deciding on how to film the the pivotal scenes at the start and end of the drama. He admits to sometimes making the crew wait for a decision while he decides on what to do, and it got to a point that he got depressed and was ready to throw in the towel. With the feedback that the TV series received initially, Wang Jun admitted that the first episodes of the drama were one of the last ones that they filmed. He also mentioned that the cast have been filming for nine months by then, resting only three days in between which explains why they were dead tired at the end. It was because of his indecision that filming of the opening scenes were delayed. He is sorry for how he handled the production and was singing praises, especially towards Zhou Xun. He shares that Zhou Xun was a professional throughout. She recited her lines every night, did not need her script during filming and hardly slept. The drama which was based on a novel was supposed to start from the story of Ruyi and Qianlong's 6th year of marriage. There was not supposed to be a scene with a 15-year old Ruyi which made up the first two episodes of the drama. Wang Jun thought long and hard about it before deciding to push through with the idea. He feels that the first few episode depicting their youth will help tie the ending together which is why Zhou Xun ended up playing the role of a young teen. I understand ZX and Wallace has to film for nine months... but what do all the other supporting cast do during this time? Most of them have little screentime because characters die every few episodes and new characters come in. Highly doubt they need to film nine months as well. Also wow, 120 episodes. Thats 40 episodes of content we'll never get to see. I believe the supporting cast came and went during that time. I remember Li Qin was filming another drama and she would take time off to film her scenes for this drama. I remember them stating that they also had to cut out some specific scene because the government wasn't happy about some parts of it, so they were editing it down. Bad idea to start shooting without a clear plan first! I feel I feel so bad for them. The first episode got so much hate because they portrayed their younger selves when that age period didn’t even last a full two episodes. The rest of the episodes are really well done, people are so ridiculous. I wasn't bothered by the early episodes. People need to use their imaginations a little to help the actors out. Clearly a 40 year old can't be a teenager in appearance but I understood what they were trying to convey. Netizens are too petty and demanding for no reason. As an Asian American I totally loved this series and found the acting ,sets, direction, production totally fantastic. Love these Chinese historical dramas like Qin Empire and Kings War. Like to see more. I would love to see a 20th C. Series so we can see the men and women who worked to bring China to greatness.